“Have you not read this Scripture; ‘The very stone which the builders rejected has become the head of the corner; this was the Lord’s doing, and it is marvelous in our eyes’” (Mark 12:10–11)? It’s helpful for us to remember, as we walk with Jesus through the events of Holy Week, that all is happening in accordance with God’s plan for the salvation of the world. Our reading above comes at the end of Jesus’ parable of the wicked tenants who rejected the owner’s servants and finally killed the vineyard owner’s son, thinking they might have the vineyard for themselves. Once we understand that the vineyard owner is God’s Son, Jesus, we begin to see the hopelessness of our situation as we realize not just the Jews, but people through the ages, have sought to put an end to the Sovereignty of God by doing away with His Son. 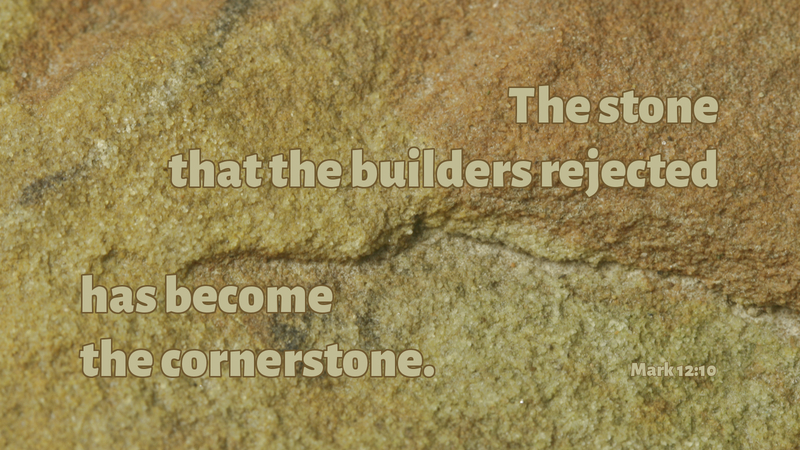 But the twist comes from the Scripture Jesus quotes at the end of the parable, that the very stone which the builders rejected has become the head of the cornerstone! In other words, though Jesus was rejected and put to death, the resurrection turned the world upside down and now Jesus is the chief cornerstone of the Church. While all seemed lost at the death of the vineyard owner’s Son, the good news is that this was the Lord’s doing—it was God’s plan all along, “and it is marvelous in our eyes”! This week, let us dwell not on the death of God’s Son, but on God’s eternal plan to restore the vineyard, to renew His people by making the Church’s one foundation, Jesus Christ her Lord! Prayer: Almighty God, keep us mindful that the events of Holy Week are your doing, that we marvel at the wonder of it! In Jesus’ name, Amen.